Volunteers from Lippert Components Inc. helped workers at Kroger clear the store Tuesday after it was damaged by last week's flooding. 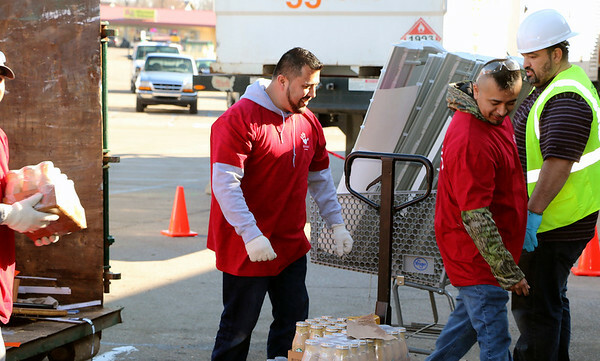 Perishable food and items contaminated by the water were thrown away. Box loads of non-perishable food and other items were donated to Food Bank of Northern Indiana and hauled away in multiple tractor-trailer trips.